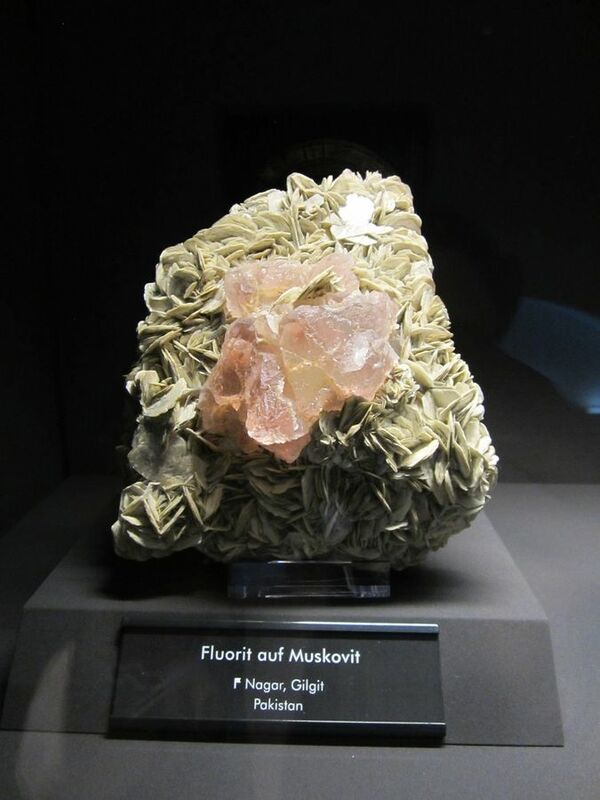 Posted: Aug 26, 2016 07:54 Post subject: Re: Favourite Fluorites? Shangbao is a great choice, Matt! 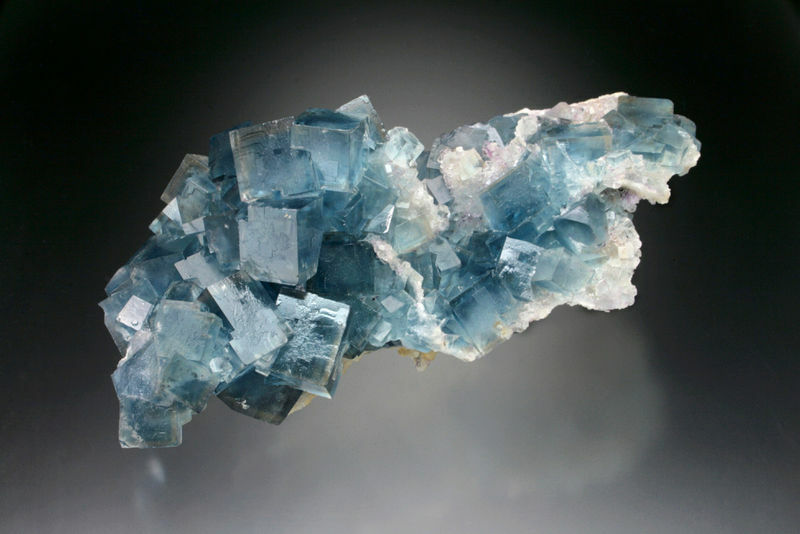 Posted: Sep 26, 2016 09:49 Post subject: Re: Favourite Fluorites? 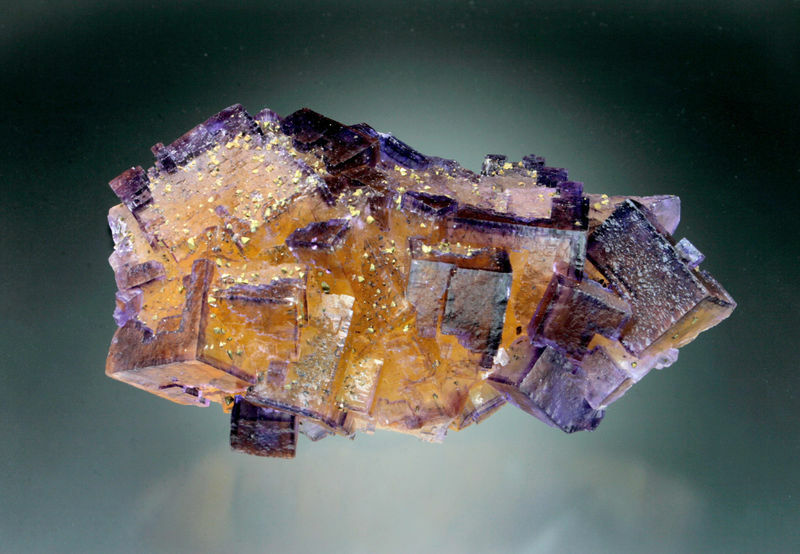 Posted: Sep 26, 2016 12:28 Post subject: Re: Favourite Fluorites? 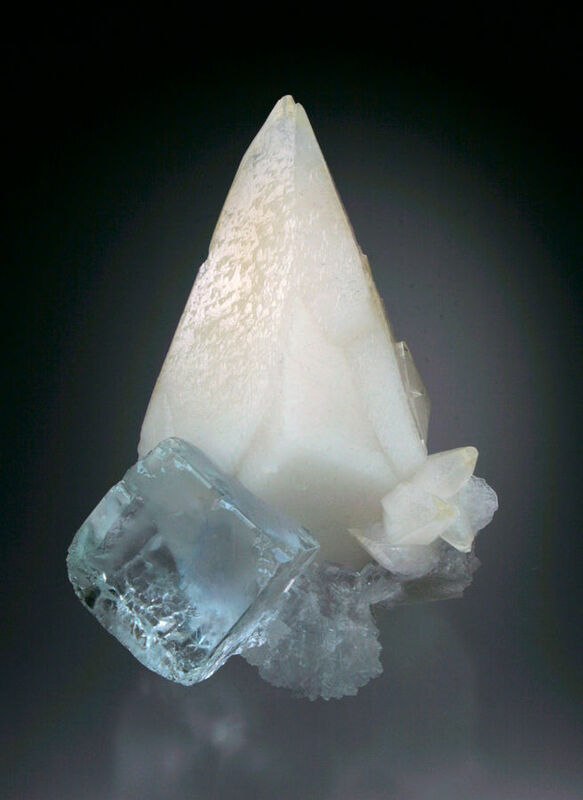 Posted: Sep 26, 2016 13:08 Post subject: Re: Favourite Fluorites? Nice blues from Blanchard, but keep them in the dark as they can fade! 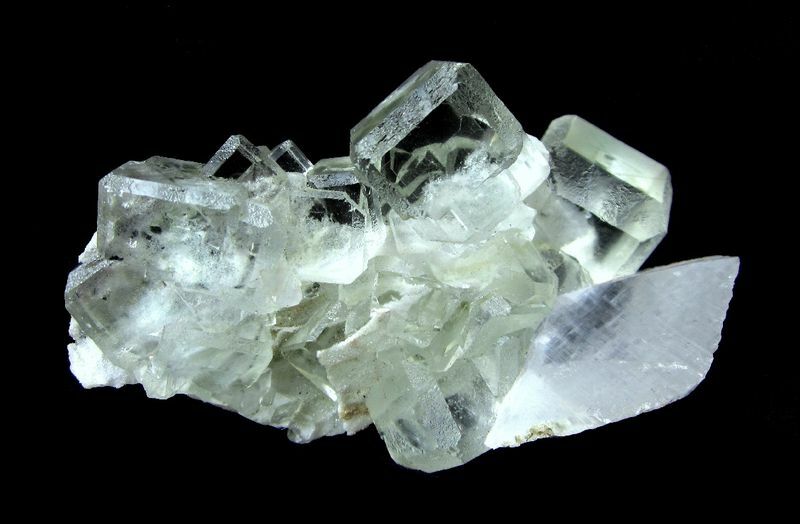 Posted: Sep 29, 2016 07:26 Post subject: Re: Favourite Fluorites? 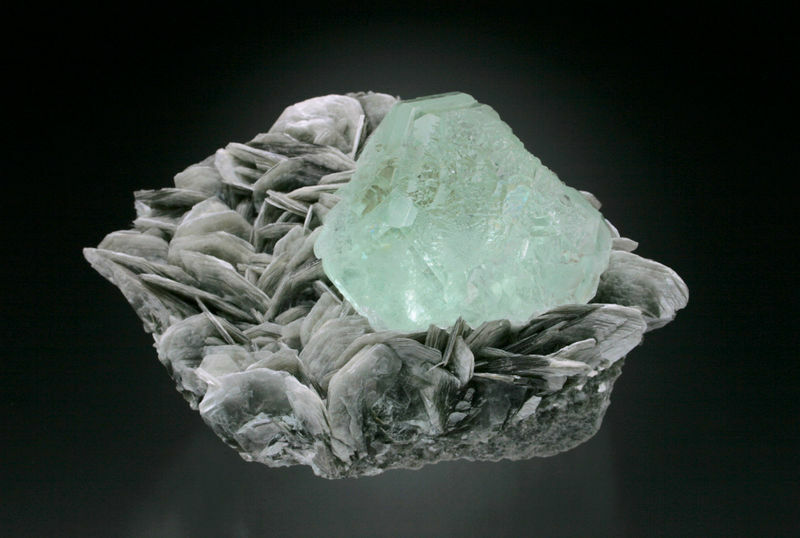 Posted: Dec 03, 2016 20:28 Post subject: Re: Favourite Fluorites? 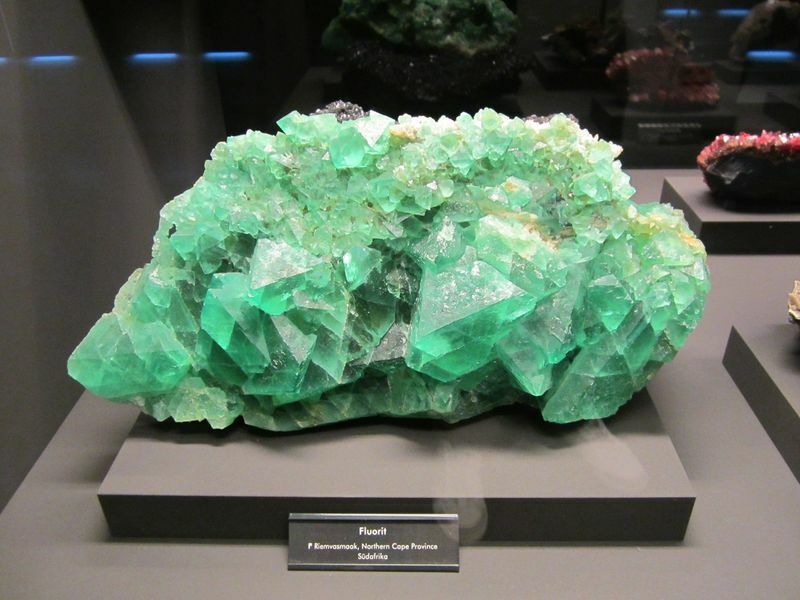 Posted: Jan 07, 2017 11:37 Post subject: Re: Favourite Fluorites? 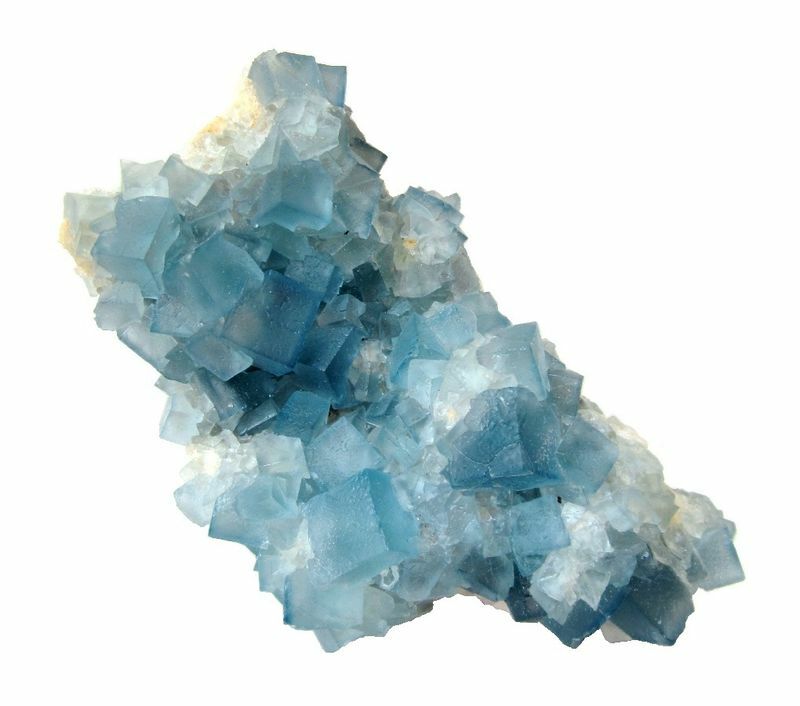 Posted: Jan 07, 2017 12:49 Post subject: Re: Favourite Fluorites? 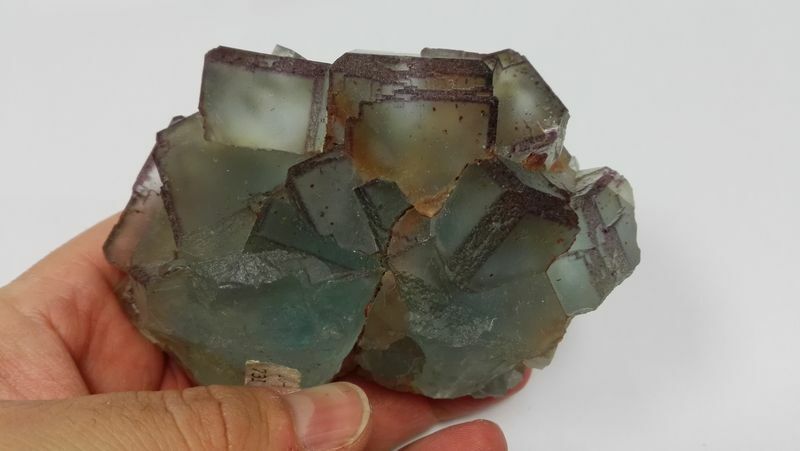 A nice fluorite from China: cuboctahedral crystals with clear cube faces and frosted octahedral faces. Size 8 x 4 x 3 cm. From Chengnan railway tunnel construction site near Wuyishan, Nanping pref., Fujian prov., PRC. The colors are original in these pictures! 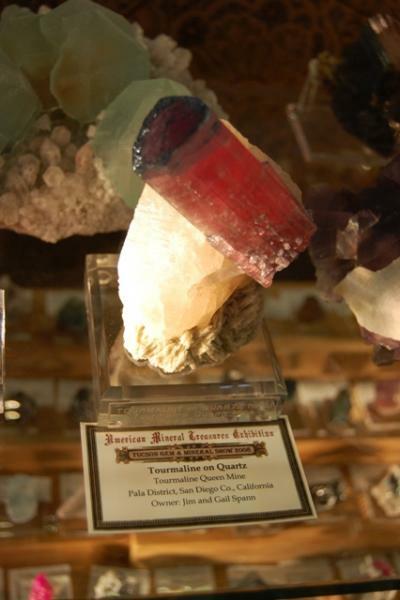 Posted: Jan 10, 2017 15:42 Post subject: Re: Favourite Fluorites? 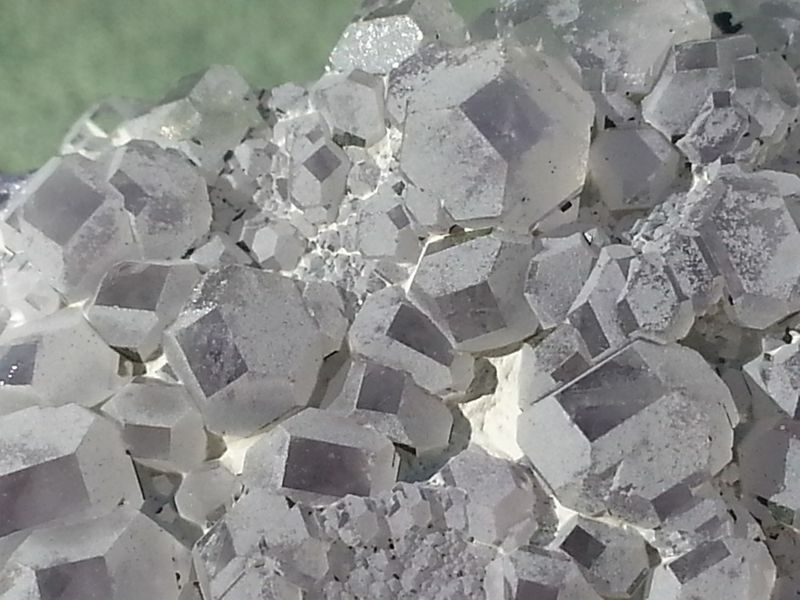 Posted: Jan 10, 2017 16:11 Post subject: Re: Favourite Fluorites? 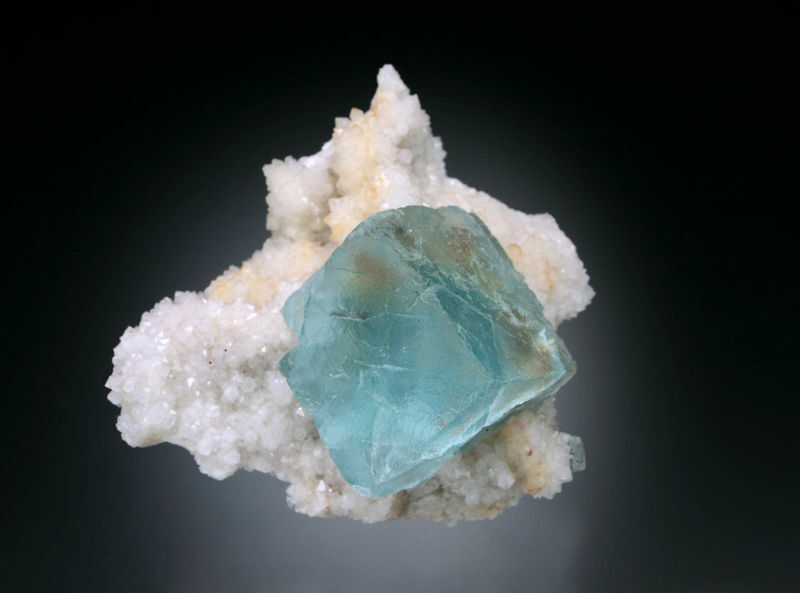 No one does blue fluorite like the French, but they're not easy to come by. I suspect that French collectors rarely let them go. Not good for international relations, I'd say! I did get lucky, however, and found this nice old Le Beix at the recent Munich show. 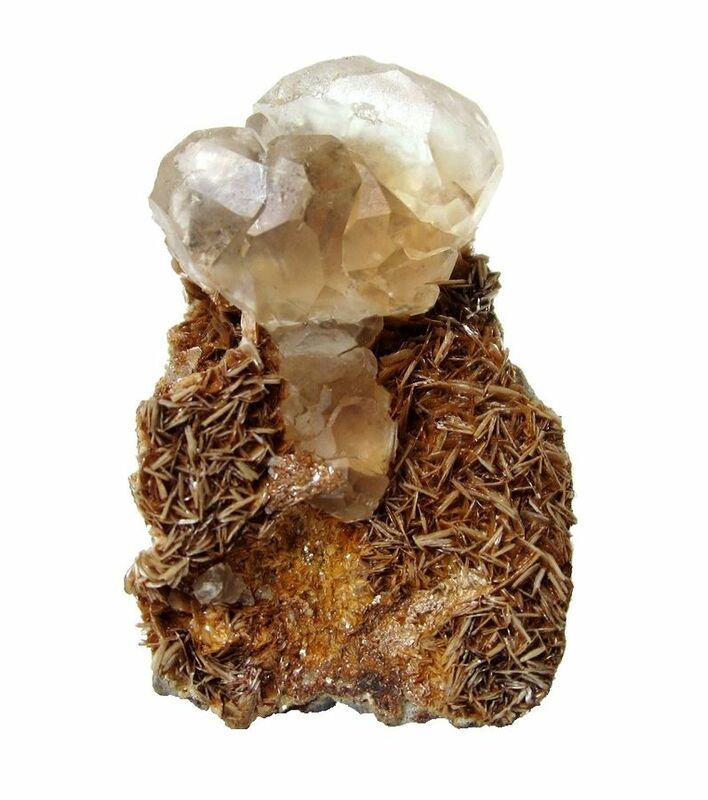 close-up of a section on the above specimen. 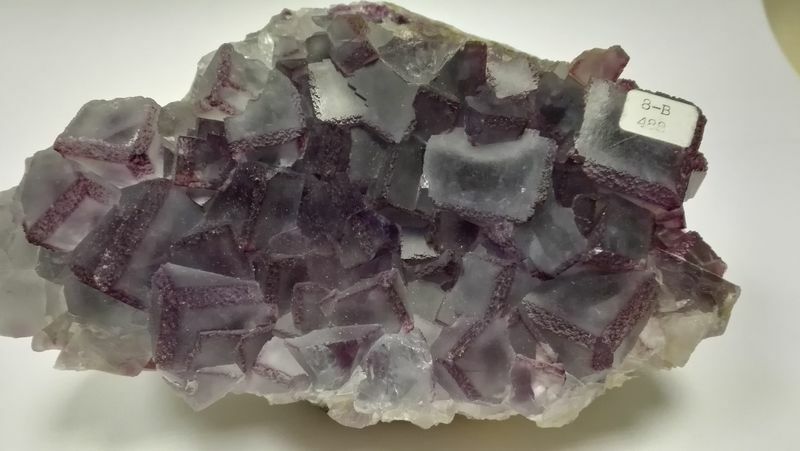 Posted: Feb 05, 2017 13:50 Post subject: Re: Favourite Fluorites? 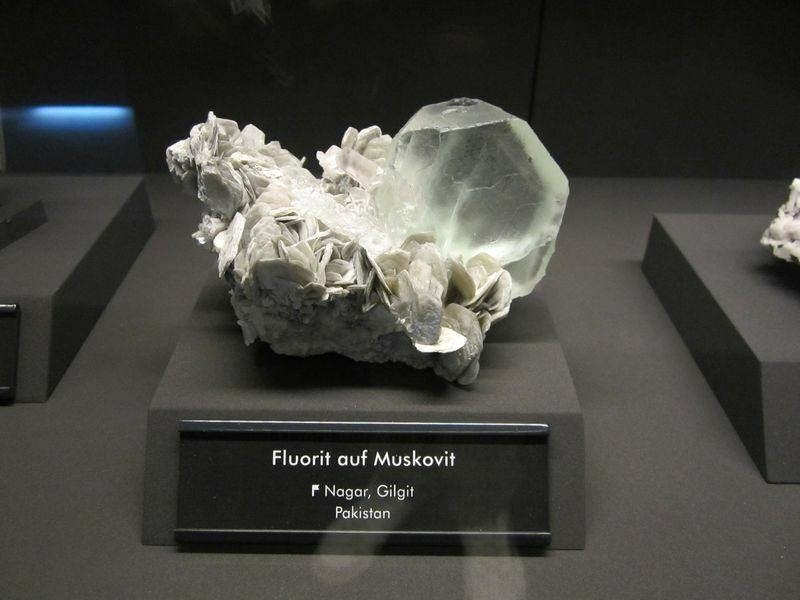 Posted: Feb 06, 2017 10:01 Post subject: Re: Favourite Fluorites? 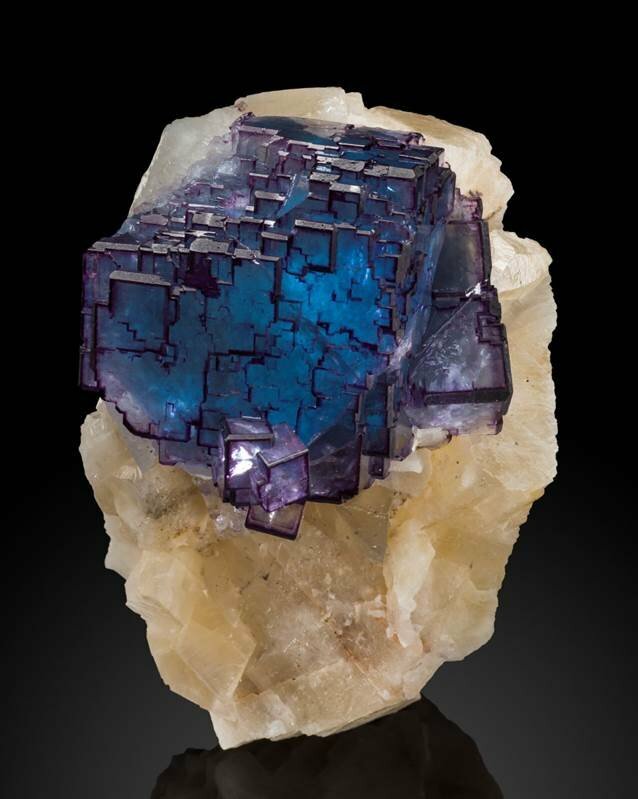 Fluorite from the Hunza pegmatites is often found in well-formed spinel twins. 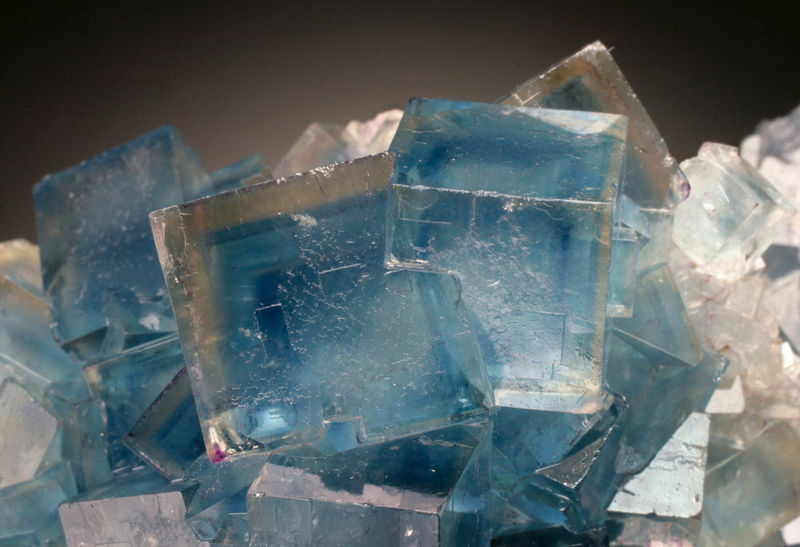 Posted: Feb 21, 2017 12:55 Post subject: Re: Favourite Fluorites? 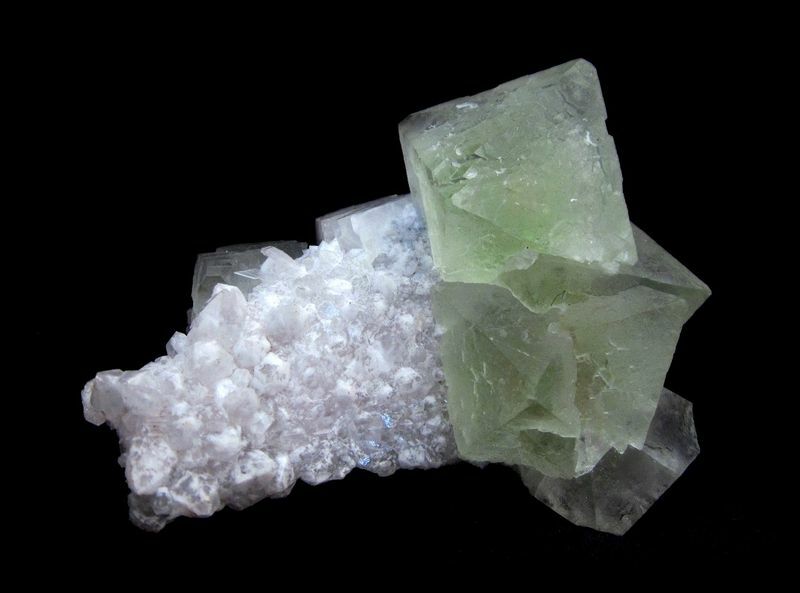 A couple more fluorites from the pegmatites in the Hunza Valley, Pakistan. 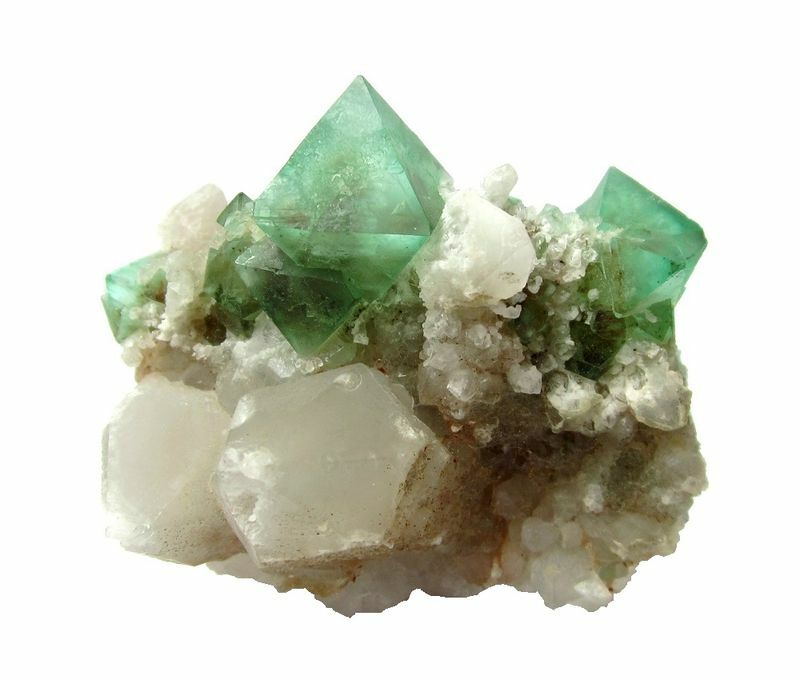 green cube-octahedral fluorite crystal on muscovite. 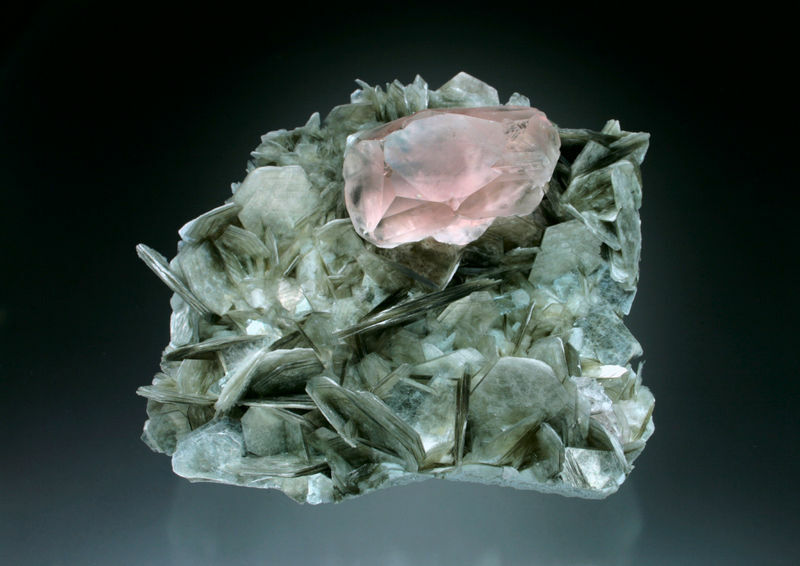 pink spinel-twinned fluorite crystal on muscovite. 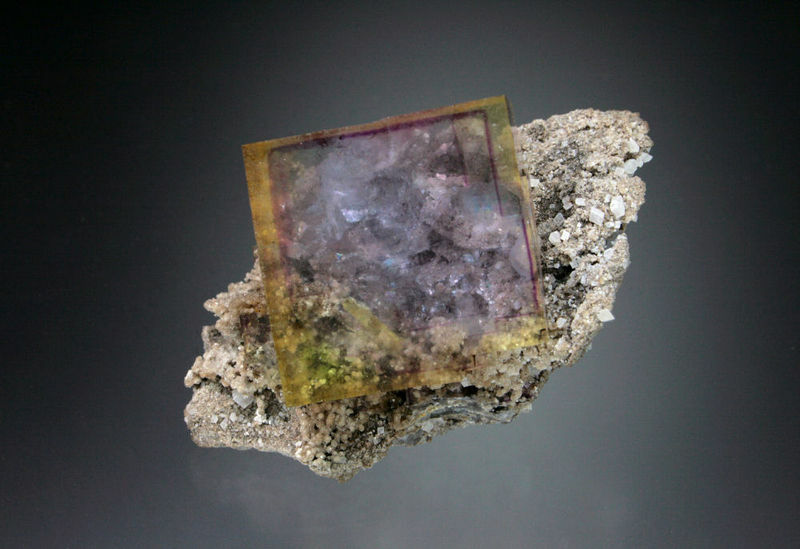 Posted: Feb 21, 2017 14:55 Post subject: Re: Favourite Fluorites? 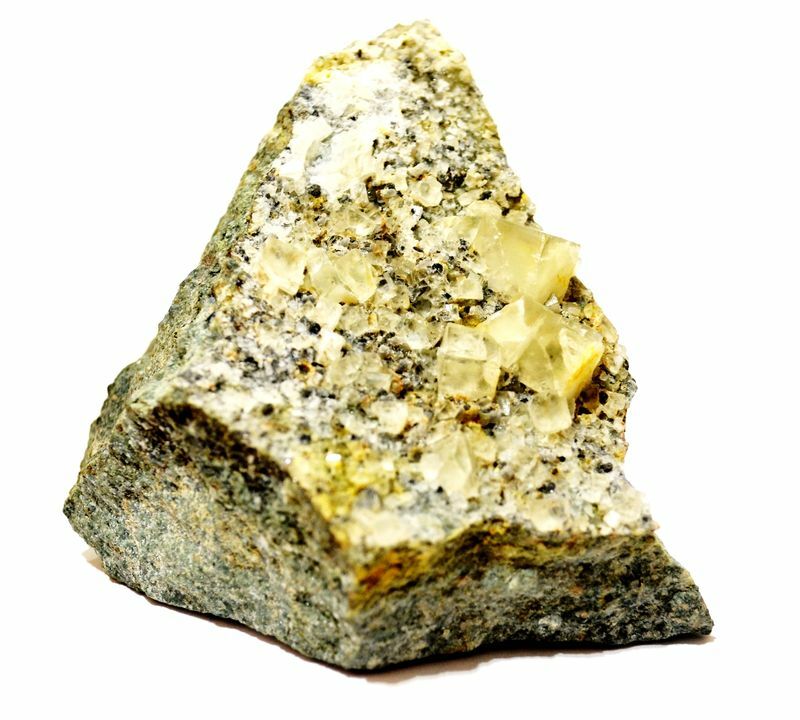 Posted: Feb 21, 2017 16:37 Post subject: Re: Favourite Fluorites? 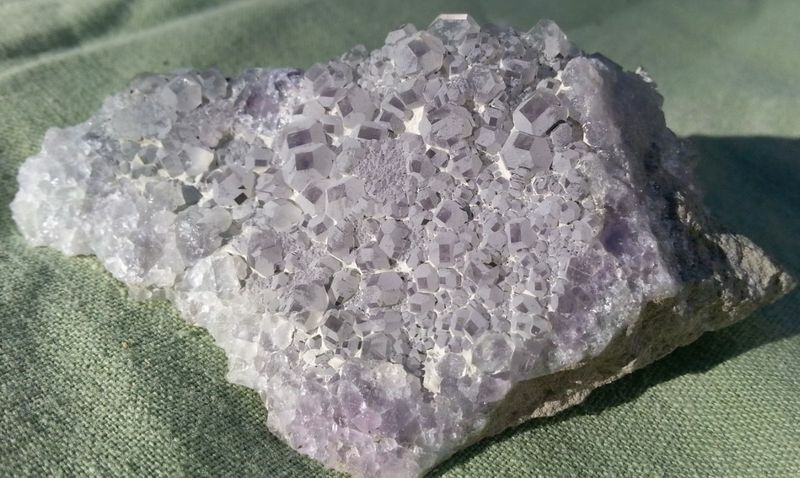 Another Tucson find this year, fluorite on dolomite from the Penfield (Dolomite Products) Quarry, Monroe County, New York. I was told that the piece was originally collected in the late 1950s. Posted: Feb 24, 2017 14:20 Post subject: Re: Favourite Fluorites? 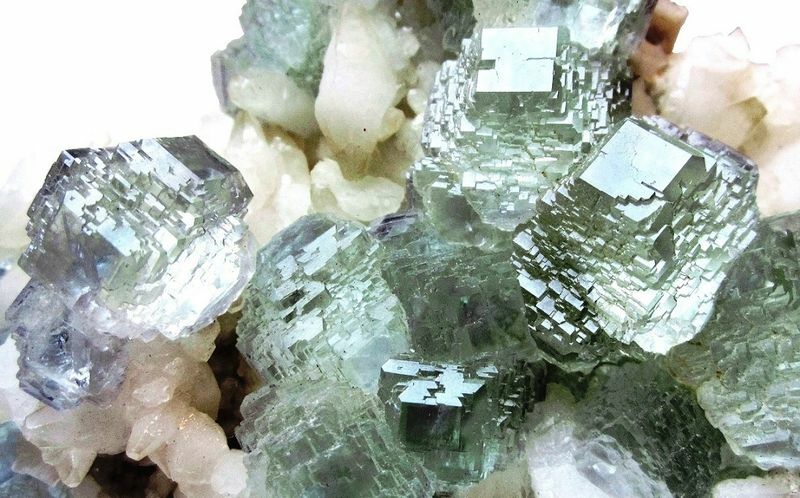 Posted: Jun 14, 2017 13:47 Post subject: Re: Favourite Fluorites? Things seem to have gone quiet here, so here's a new one - at least to me. 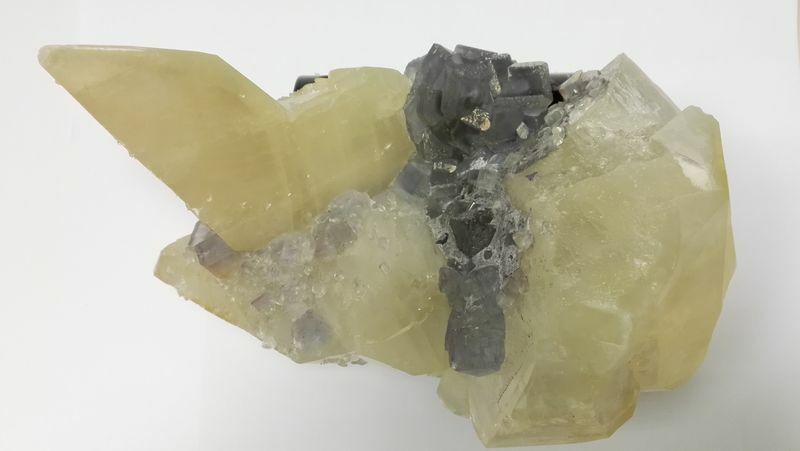 Posted: Jun 15, 2017 01:37 Post subject: Re: Favourite Fluorites? Not only to you ;-) Very aesthetic combination piece! 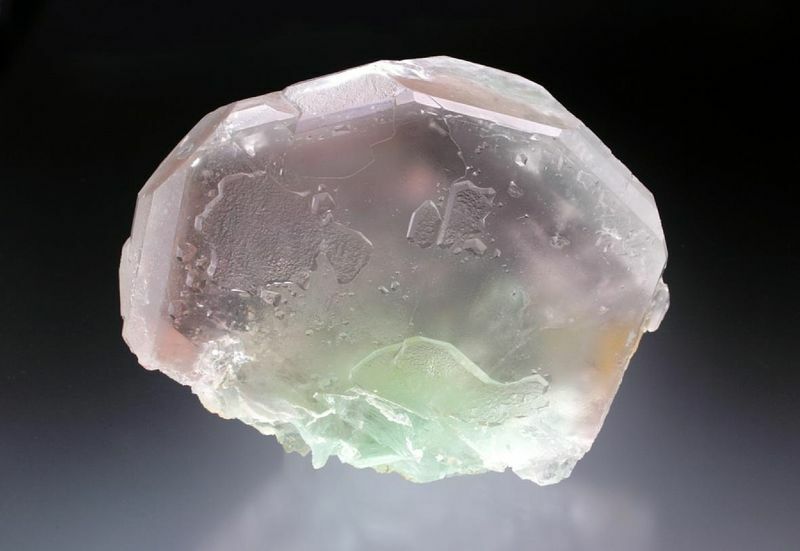 Posted: Jun 15, 2017 09:36 Post subject: Re: Favourite Fluorites? Haven't posted in a long time, but here is a nice fluorite from the Josefa-Veneros vein, in the La Collada mining area, Asturias Spain. 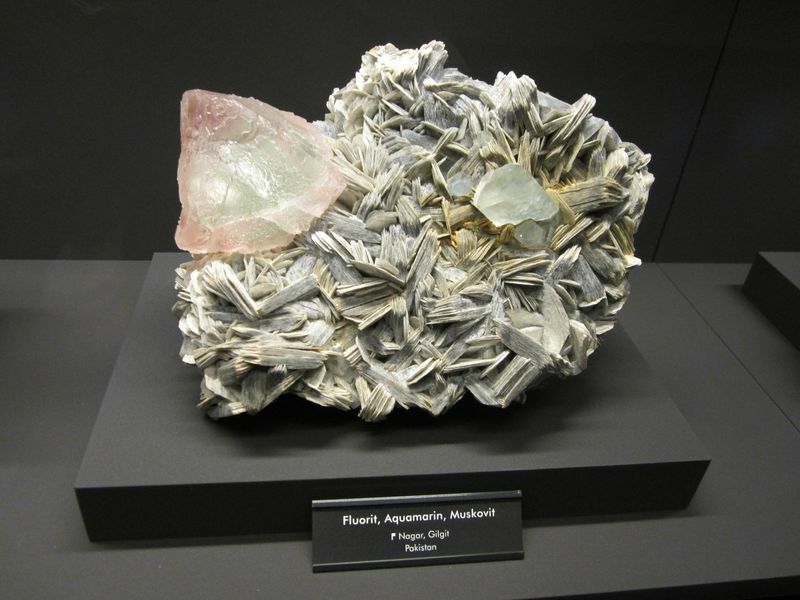 Posted: Aug 12, 2017 15:58 Post subject: Re: Favourite Fluorites? 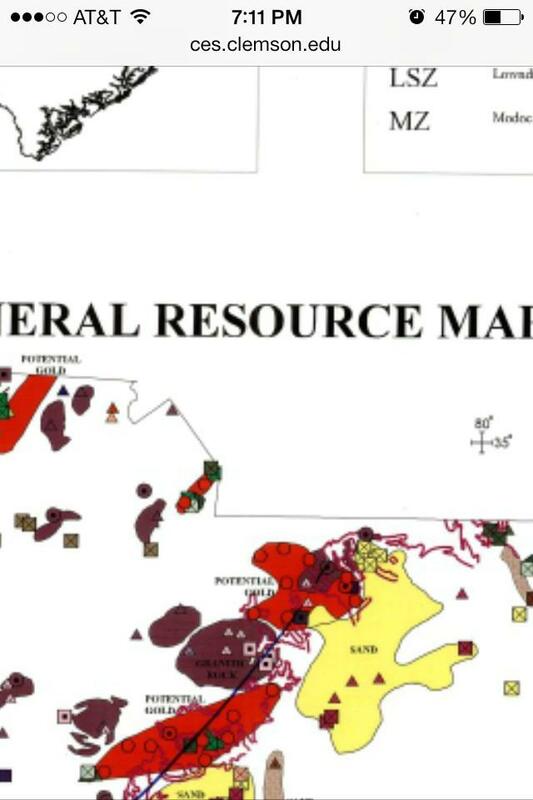 According to Ross Lillie, the specimen likely came from the Rosiclare Level, North End, in 1985.